Wizard shows connected device details, select particular COM Port to view corresponding device details including COM Port, Manufacturer, Model etc. 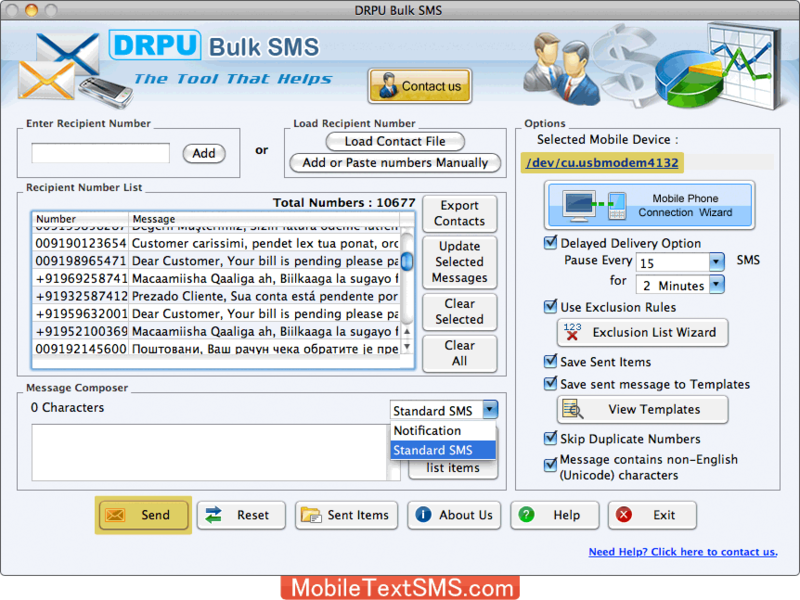 Now tap 'Use Selected Device to Send SMS' button. Message Sending Process is going on. 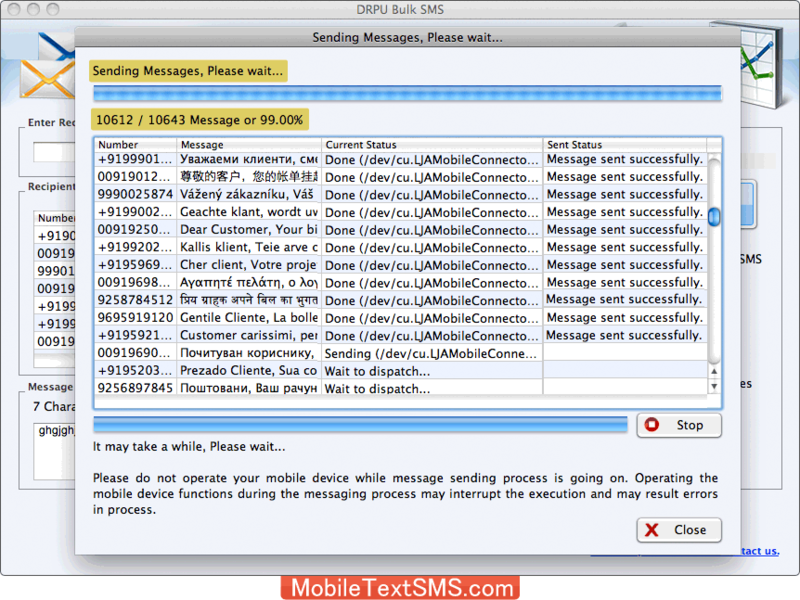 You can also Export your sent items list in Text and HTML File format.